Loan sharking, the business of making “juice loans,” figures prominently in Assassin’s Game. When I was working with the Chicago Crime Commission in the late Sixties and early Seventies, the press constantly covered the outrageous behavior of a mobster who was then considered “king” of juice loans, Sam DeStefano. “Juice loans” are loans where mob collectors squeeze the debtor so hard he delivers the “juice” quickly—the balance plus interest rates at up to 25% a week, according to Allen May who wrote Gangland Gotham. We knew DeStefano was violent, but we didn’t realize how utterly depraved he was until his story came out after his death. The Crime Commission was well aware of the infamous 42 Gang, led at one point by Momo Giancana. It’s been described as “the farm team for the Mafia,” originating in Chicago’s Little Italy. At one time they wore white Fedoras and carried wads of cash from bank robberies and various extortion schemes enforced by violence—including murder. Sam DeStefano and his brothers got their start with the gang. Their activities, including a bank robbery that ended in the car breaking down with the police close behind, earned him numerous prison sentences. By the time he was 35, he’d spent half his life in jail. In Leavenworth for the bank robbery, he used the time to network with power players like Paul “The Waiter” Ricca. Leaving prison in 1948, he soon joined up with the Outfit full time, settling into his true calling—the juice racket. As ex-mobster Frank Culotta described it, loan sharks never had to drum up business. They hung out at casinos, and borrowers came to them, begging for loans. DeStefano soon became highly successful because his clients generally repaid their debts quickly. Those who didn’t pay wound up beaten by hammers and stabbed with ice picks. With his profits, he bought real estate, and expanded his influence by paying off aldermen to look anywhere but in his direction as money rolled in and victims of mayhem increased. As he became more politically connected, De Stefano’s loan shark clientele extended far beyond the dicey gambling crowd, involving politicians, lawyers, and businessmen who needed money. DeStefano branched out, acquiring a reputation as a “fixer.” Exorbitant for those times, his fees ranged from $800 for a major gambling or robbery case up to $20,000 for first-degree murder. (In 1955, you could buy a suburban middle-class three-bedroom home for $12,000.) Soon corrupt police officers actually escorted law violators to DeStefano’s house before bringing them in to be charged with their crime. If the accused agreed to Sam’s “take,” Sam was able to get the charges drastically reduced or even dropped. If the loan was repaid plus the juice, the cops and judges also got a cut. If the accused didn’t pay, he was soon riddled with holes and dents and urinated upon. Jail would have been much more preferable. “There ain’t a case in Chicago I can’t fix,” DeStefano bragged. Sam’s younger brother Michael couldn’t handle the brutality the way Sam and his brother Mario did and had become a heroin addict. This was taboo because it lured the police and often the FBI. In 1955, Syndicate boss Sam Giancana ordered DeStefano and his brother Mario to murder their younger brother, Michael. The body was found in a car trunk; he’d been shot to death. Sam and Mario had avoided the head, cleaned Michael up, and dressed him in a suit. Police brought Sam DeStefano in for questioning; he allegedly only laughed uncontrollably. Sam was released as the police decided to “look the other way” because of his political influence. Addicted to his own power, DeStefano actually enjoyed it when debtors failed to pay. He built an elaborate soundproof torture chamber in the basement of his home at 1656 North Sayre Avenue in Chicago, directly underneath the living quarters of his wife and three children. After killing his own brother on Giancana’s orders, DeStefano still wasn’t considered a “made” man. He was too much of a loose cannon for the Outfit, but because of the enormous amounts of money he collected, the capos overlooked DeStefano’s madness. For three decades, “Mad Sam” continued to be the go-to loan shark for the Outfit, but his behavior disturbed even the toughest mobsters. He forced his wife to play Russian roulette with a gun in her mouth. He raped a woman in a nightclub, and drew attention to himself in odd ways. Occasionally he’d get arrested and show up in court wearing pajamas and carrying a bullhorn, representing himself and badgering juries. One of the leading underbosses in those years was Willie “Potatoes” Daddano who specialized in gambling, pinball machines, and slot machines, as well as juice loans, which means he also enforced repayments. Being an enforcer meant he was also a “hit man.” He was told that one of his juice collectors, William “Action” Jackson was An FBI “snitch.” “Potatoes” and “Mad Sam” and others took the three-hundred-pound Jackson to a South Side meat-rendering factory and hung him on a meat hook. His knees were smashed with a hammer; he was stabbed with an ice pick, blow-torched, and left hanging for three days until he died. His body was later found in the trunk of his Cadillac on Wacker Drive in downtown Chicago. 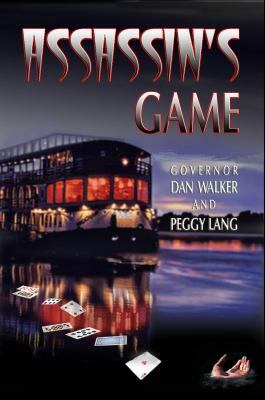 Other grisly tortures and murders followed, but it was the murder of Leo Forman that finally brought Mad Sam down. Forman was a juice collector who got into an argument with DeStefano. “Mad Sam” persuaded Tony Spilotro and Chuckie Grimaldi to lure Forman to the home of Sam’s brother Mario in Cicero. There, DeStefano hit Forman on the head with a hammer, stabbed him repeatedly with an ice pick, and finished him off with a gunshot to his head. FBI agent Bill Roemer describes in detail his contacts with “Mad Sam,” trying to get him to reveal clues. DeStefano routinely exposed himself and served coffee with an unusual taste, which Roemer later learned was urine. He never drank coffee again. The gruesome crime went unsolved for ten years until Chuckie Grimaldi finally became an FBI informant. At that point Spilotro, Mad Sam, and his brother Mario were charged with murder. DeStefano offered to testify to save himself, and the Outfit moved in. 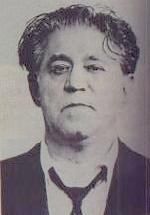 Tony Spilotro and DeStefano’s own highly trusted brother Mario were ordered to kill “Mad Sam.” Spilotro did it with a shotgun pulled out of his coat when he was only a foot away from Mad Sam. Agent Bill Roemer discovered the torture chamber hidden in the DeStefano basement. Several months later, Mario was sentenced to 20-40 years, but Spilotro was acquitted of all charges. What is especially shocking about all this is the degree to which such a monster was tolerated not only by the crime syndicate, but by elected officials as well.